A powerful software to copy DVD to hard drive or convert it to DivX/WMV/AVI/MP4. Magic DVD Ripper enables you to rip DVDs fast and easily. Nevertheless, while it has more raw backup options than its competitors, it has no integrated video editing tools. It enables you to convert DVDs for specific devices. Probably the most powerful aspect of Magic DVD Ripper is the very fact that it enables you to preform both DVD backups and file conversions. Most of the other products in our review are limited to the conversion-only rips. The inclusion of backup programs allows you to rip the disc image file (ISO) or the raw Video TS folders. This really is a helpful tool in case you need to burn a brand new copy of your DVD. And while this program doesnt have any burning capabilities, after you've got the ISO file, you can just burn that to a brand new disc using Windows native burning tools. The conversion can assist you to rip a movie from a disc and convert it into a format that's playable on a computer or a smartphone or another device. This DVD ripper software has a short list of preprogrammed optimization profiles for smartphones, tablet computers and gaming systems. But unless you've got an iPhone, its highly improbable that youll discover your specific device on such list. It's a couple of generic Android and smartphone profiles, but thats hardly a replacement for device-specific rips. This DVD ripping program does let you place your own rip settings and save them to a profile. So if you understand the resolution, bit-rate, codec and other details you would like, then you can build a video tailored to your unique needs. But this program lacks video editing tools that permit you to trim video clips, add watermarks and correct picture values for example contrast and brightness. Another extremely convenient feature of this DVD ripper is the fact that you dont have to agonize about any copy protections found on commercial discs. It's a built-in CSS decrypter and can blow right past region codes without a interaction from the user whatsoever. The very fact that you dont have to think about this type of thing is fantastic because other applications occasionally requires you to download a third-party decrypter to get past copy protections. Download and install Magic DVD Ripper safely and without concerns. What do you think about Magic DVD Ripper? Download.hr periodically updates software information of Magic DVD Ripper from the software publisher (Magic DVD Software), but some information may be slightly out-of-date or incorrect. Magic DVD Ripper version 9.0.1 for Windows was listed on Download.hr on 04.05.2017 and it is marked as Shareware. All software products that you can find on Download.hr, including Magic DVD Ripper, are either free, freeware, shareware, full version, trial, demo or open-source. You can't download any crack or serial number for Magic DVD Ripper on Download.hr. Every software that you are able to download on our site is freely downloadable and 100% legal. There is no crack, serial number, keygen, hack or activation key for Magic DVD Ripper present here nor we support any illegal way of software activation. If you like software product please consider supporting the author and buying product. If you can not afford to buy product consider the use of alternative free products. Is it safe to download and install Magic DVD Ripper? Magic DVD Ripper was checked for possible viruses by various leading antivirus software products and it is proven to be 100% clean and safe. Although, no malware, spyware or other malicious threats was found we strongly advise you to check product again before installing it on your PC. Please note that laws concerning the use of Magic DVD Ripper may vary from country to country. Please be sure that you are using Magic DVD Ripper in accordance with the law in your country. 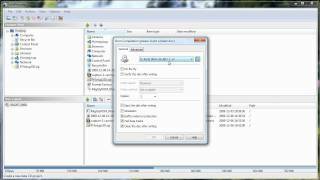 How to uninstall Magic DVD Ripper? How do I uninstall Magic DVD Ripper in Windows Vista / Windows 7 / Windows 8 / Windows 10 OS? Make sure the "Magic DVD Ripper" is highlighted and then make right click, and select Uninstall/Change. How do I uninstall Magic DVD Ripper in Windows XP? Make sure the "Magic DVD Ripper" is highlighted, then click "Remove/Uninstall." How do I uninstall Magic DVD Ripper in Windows 95, 98, Me, NT, 2000? Select "Magic DVD Ripper" and right click, then select Uninstall/Change.